Hazel Prior Sankey and Francesca Smith are our Lib Dem Councillors for Blackbrook and Holway. Hazel represents the Blackbrook and Holway Ward for TDBC and the Taunton South Division for SCC. Hazel is a dedicated Liberal Democrat and has been a political activist since the late 1980's. She is currently the Mayor of Taunton Deane for the municipal year from May 2017 - May 2018 having been the Deputy Mayor the previous municipal year. Hazel is married to Adrian and they have 3 children and 7 grandchildren...and counting. Hazel has always lived in the Taunton area and was educated at Bishop Fox'sand Somerset College. Good services for elderly and vulnerable. As a local councillor Hazel is here to help those she represents! Fran has been involved and a supporter of the Libdems for many years and a district councillor since 2003. 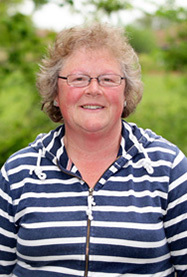 Fran regularly campaigns for local people to have access to good housing and jobs and on local issues such as the pedestrianisation of the town centre and more economic development in the town, I opposed the sell off of the council housing stock and the proposed merger with West Somerset District Council.